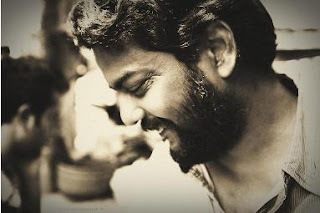 WPC News Desk : Young Bengali film director Bappaditya Bandopadhyay has passed away around 8:40 pm this evening (07 November) in Kolkata at the age of 45 only. He was admitted to a local hospital on 1 November after prolonged illness. Hospital sources informed that Bandopadhyay’s condition started to deteriorate from Saturday morning and he was diagnosed with multi-organ failure within hours. Bandopadhyay was a successful and popular young director. He tested success in the global platform too. A number of his films were applauded in several international festivals. Kantatar, Sampradan, Silpantar, Kaal, Kagojer Bou, Elar Char Adhyay and Nayika Sangbad were some of Bandopadhayay’s finest works. His film Sampradan had won three awards in the Dhaka International Film Festival in 2000. Besides doing films Bandopadhyay was known for writing poetry too. The film industry in Kolkata is still in shock with this untimely demise. Many could not digest sudden passing away of Bandopadhyay after death of actor Pijush Ganguly only a few weeks ago.